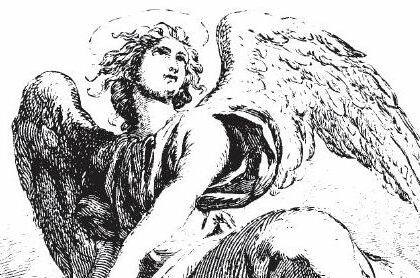 According to Wiki, Angels are a medium of God's power; they exist to execute God's will. Angels reveal themselves to individuals as well as to the whole nation, to announce events,either bad or good, affecting humans. There are so many description on angels and what's next? After you know a little bit about angels, you can start to sketch an angel. The best way is to get an angel in front of you...but can you see angels? If you can see them, then I guess there will be no problem to catch a print photo of them and start drawing! 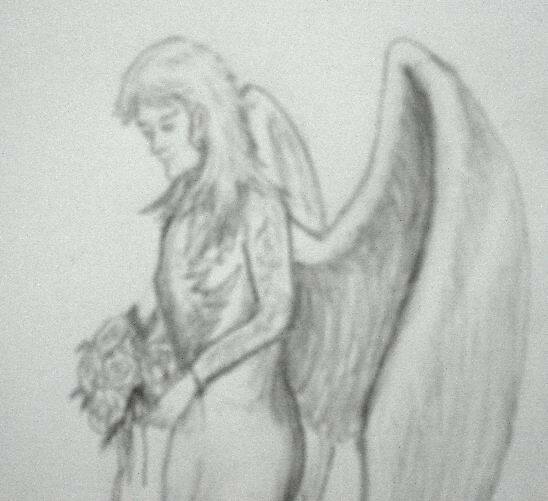 I'm so sure that I can't see them... but I can use my own imagination to draw angels in pencil. Now let's start a step-by-step drawings of angels lesson. So, you can start your angel sketch using a HB grade graphite pencil. 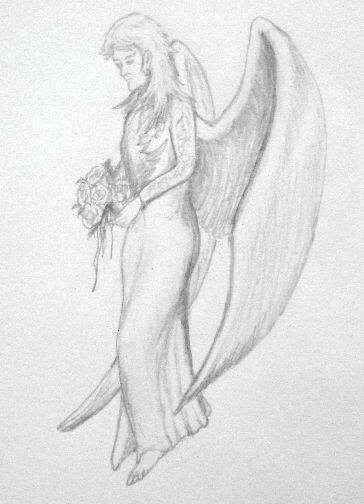 Create a female angel sketch with a pair of wings. 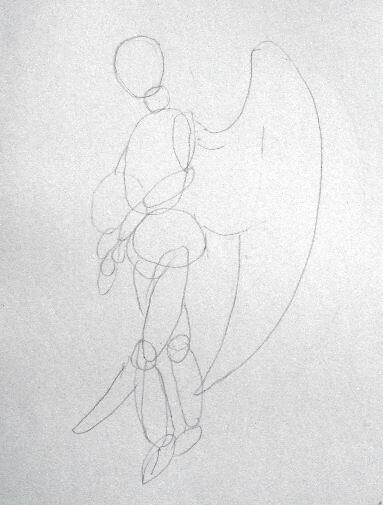 Just sketch as if you are sketching a female figure but this time she has wings - draw a woman with wings! Sketch a big pair of angel wings at the back. Now, describe what you want your angel drawing to be... Imagine your angel figure has long blonde hair, wearing a gown and handling a bunch of roses. She is descending down to earth. Or, you can have your own personalized t-shirts from this angel drawing. Visit Custom T-Shirts to have yours... There is no minimum order required. If you are buying art drawings of angels, I would suggest that you buy directly form any art suppliers online. It's easier and cheaper too. 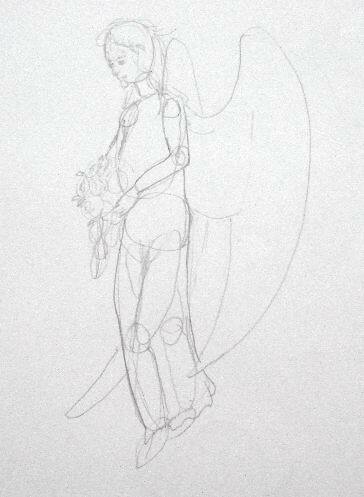 I've found few drawings of angels which I like to share with you. There are two angels, three angels and many angels drawings.